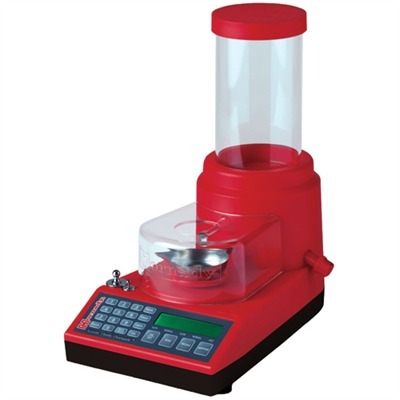 Electronic powder measure has a scale capacity of 1,000 grains and can precisely dispense powder to within 0.1 grain. Easy-to-use keypad, back-lit digital display, and three speed settings help you quickly meter and measure the powder charge you need. Lets you choose between automatic and manual dispense settings, and overcharge prevention system helps protect you from reloading mistakes. Easy-Clean drain for quick, complete removal of powder from the hopper for cleaning or to switch powders. Do not use with black powder. SPECS: 1,000 grain scale capacity. 110-volt AC. Do not use with black powder.